The 394 and 392 recorders provide the most advanced options for circular recorders available. 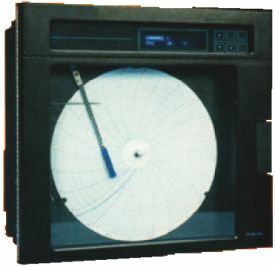 The multipoint (394) brings features not previously available on circular recorders, such as: scale printing; time/date stamps; printed logs. Continuous trace pens (392) are suitable for fast changing signals and provide ‘like for like’ replacement of any existing recorders. Both instruments are fully configurable, and can be quickly and easily set up to meet your requirements. The option to have built-in controllers, together with the mathematical functions and IP65 rating, make the 394 and the 392 ideal for small machine applications.